Model-driven app design is a component-focused approach to app development. 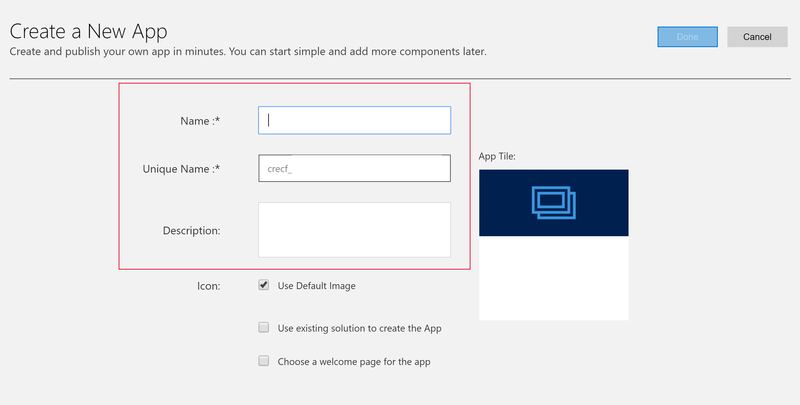 In this topic, you simplify how to create a model-driven app by using one of the standard entities that's available in your PowerApps environment. To learn all about building model-driven apps, start here: Understand model-driven app components. Sign in to PowerApps. If you don’t already have a PowerApps account, select the Get started free link. 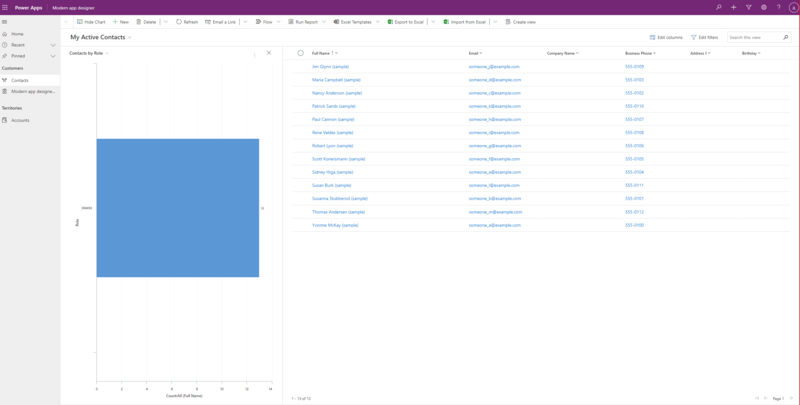 Select the environment you want, or go to the PowerApps admin center to create a new one. If the Model-driven design mode isn't available, you may need to Create an environment. On the Home page, select Model-driven app from blank. Name: Enter a name for the app, such as My first app. Description: Type a short description of what the app is or does, such as This is my first app. For information about the additional app properties, see Create an app. From the app designer you add components to your app. 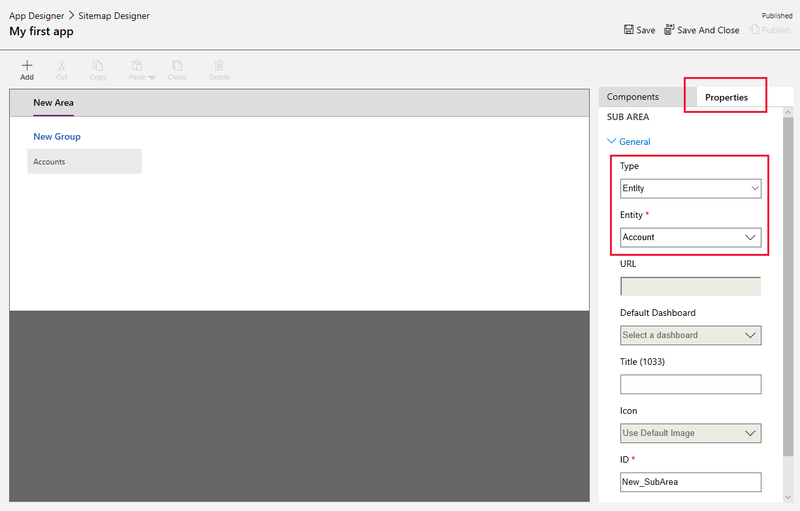 Select the Open the Site Map Designer arrow to open the sitemap designer. On the sitemap designer select New Subarea, in the right pane select the Properties tab, and then select the following properties. 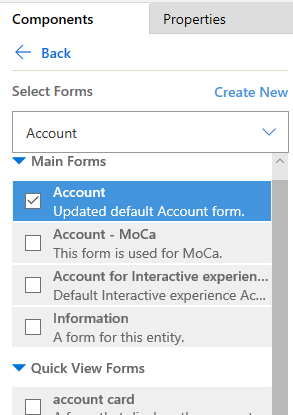 On the app designer canvas select Forms, and then on the right pane under the Main Forms group select the Account form. On the app designer canvas select Views, and then select the Active Accounts, All Accounts, and My Active Accounts views. On the app designer canvas select Charts, and then select the Accounts by Industry chart. On the app designer toolbar, select Save. On the app designer toolbar, select Publish. After publishing the app it's ready for you to run or share with others. In this topic, you built a simple model-driven app. To see how your app looks when you run it, see Run a model-driven app on a mobile device. To learn how to share your app, see Share a model-driven app.